Mary Elizabeth Dyches was in November 1845 in Jefferson County, TX, and died October 11, 1911 in Lampasas County, TX. She was the daughter of William C. Dyches. She married J. M. Milinnix July 11, 1875 in Bell County, Texas. No record has been found so far as to the disposition of the marriage. She was still living with her brother Elias when the 1900 census was taken. 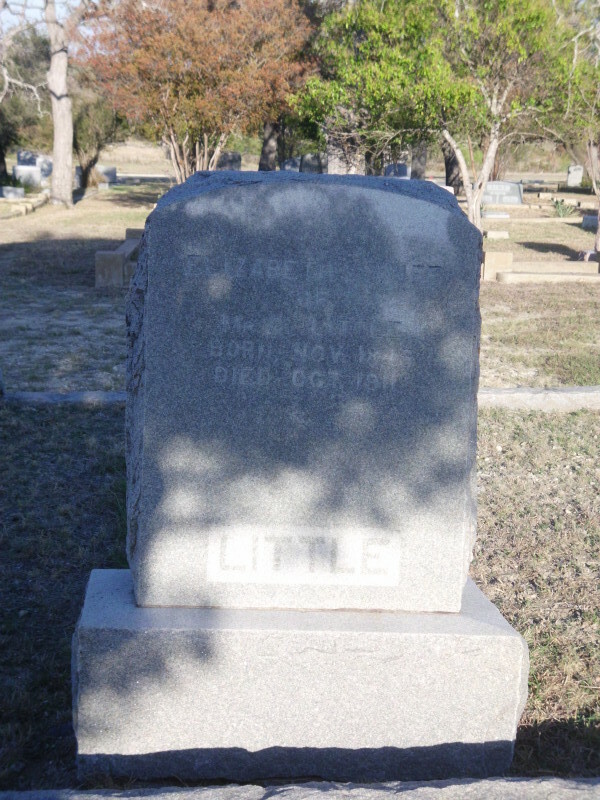 Before her death in 1911 (possibly 1908), she married Caleb M. Little. He was born in 1842 in Georgia and died in 1921 in Texas.